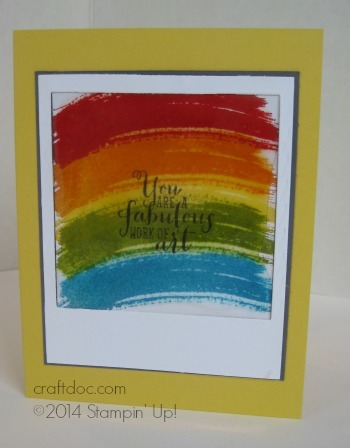 This card was made with the new Work of Art stamp set. We got it at the Premiere event on Monday and other demonstrators can preorder it starting today. I will be using this set a lot – it is awesome! Crystal Effects and a Window Sheet give this card a shiny polaroid look. congrats! Great job on the card. Love the window effect!